The cat is out of the bag, and some Cru members came out of the closet on October 20th – with dad’s jeans outfit from the blazing eighties. Building on the legendary bash-franchise Tokyo Crusaders gathered for another team-building exercise (honestly, it is not just for personal amusement that our social manager suggests these things) here, there and all over Roppongi. 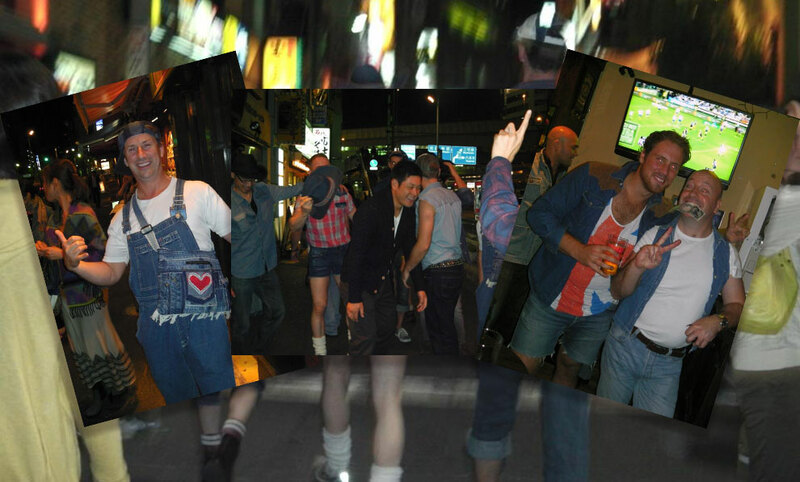 That’s right, you might have seen it in the news but here are the only photos from the Double-Denim Bash. Reports say that ordinary citizens fled in disgust and team manager Stewart “Tooley” Henwood had to be surgically removed from the bar counter where he had set up camp to the chagrin of a lovely bell-equipped bar maid. Watch this space for further installments in the bash saga!